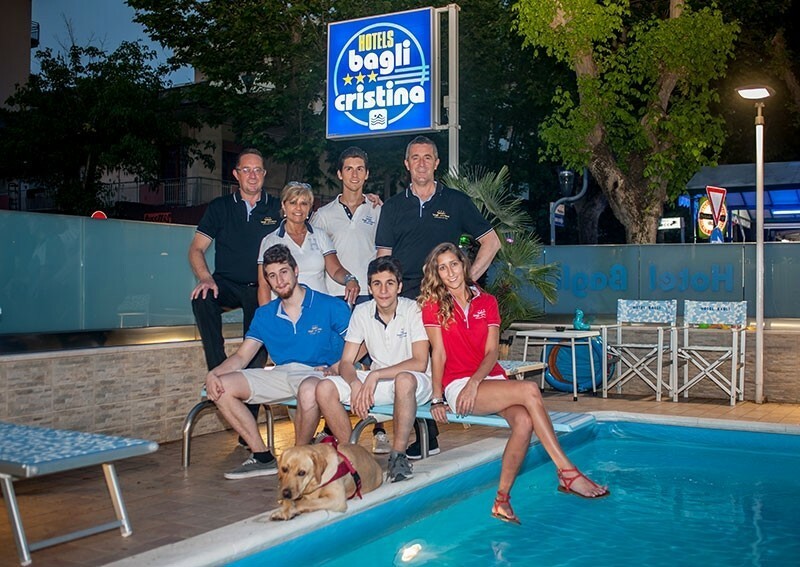 Below is the list of prices of the Hotels Bagli and Cristina, with a particular attention for those who travel in family and with small children. All Hotel prices for the current year, for any other information please contact us directly. The above prices are valid for a minimum stay of three days, for shorter periods, and 'expected to increase by 10%. Including VAT, service and use of beach cabin. They do not grant allowances for meals not taken. free car parking no responsibility for any damage to cars. The room and 'available to customers from 12.00 on day of arrival until 10.00 on departure day. Tourist tax € 1.50 per day over 14 years more than 7 days. Children in room with two adults: service with cot up to 2 years € 10,00 per day; 2 to 5 years -50%; from 6 to 12 years -30%; Children with an adult -15%. 3rd and 4th bed -10%. Family Plan: 4 people in the same room 50% discount for children up to 12 years.